As you read this today, I am off in gorgeous Napa, California. I am attending a food industry event on behalf of the Well Fed Network and I couldn't be more excited. I'll let you know when the posts about it go up over at Growers and Grocers and elsewhere on the Network. I am also excited to report that I have been named Managing Editor of the Well Fed Network. 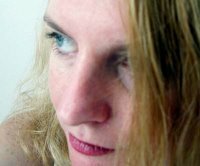 I've been helping the Editor in Chief, Cate O'Malley (who you might also know from Sweetnicks), behind the scenes for awhile now. She graciously decided to offer me a more prominent role. It's exciting and certainly a labor of love. But back to Rachael Ray! 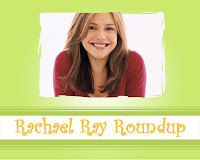 Here are some posts around the blogosphere (and a few newspapers, too) about Rachael Ray. If you write a post that you think would be good for the Roundup, please drop me a line. Talk Show Ratings Update: According to Broadcasting and Cable, Rachael's talk show "held firm at its season high 2.3, which was more than triple the rating of the only other nationally rated new talker still in production, Greg Behrendt, at a 0.7, down 22%." Rachel of Rachel's Bite made her dogs a treat: Isaboo's Bacon-Cheese-Barley Burgers from the December/January issue of Every Day with Rachael Ray. MSN recently featured an article about the success of the Food Network and discussed whether the Food Network is becoming the next TV. MSN thinks "[p]utting engaging hosts on the screen is a major part of it." Who could they be talking about? Hmmm. Yeah, it's Rachael Ray. Rachael is listed by AOL Jobs as an example of what can be done without a college degree. Cate of Sweetnicks is back in the Roundup with the recipe for Nacho Bread Pizza. Dan Ward of Dan Ward's Blog is a good example of how Rachael gets people back into the kitchen. He says that since he started making Rachael's recipes: "I've really expanded the range of spices and ingredients I'm buying and using. 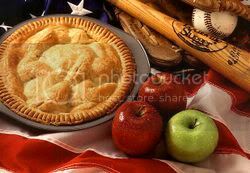 It's a lot of fun exploring and experimenting with new foods, flavors, etc." Jacob at Food Network Addict considers the implications of Rachael's talk show being broadcast in Ireland with his usual sense of humor, of course. Want to work for Rachael Ray? She's hiring according to a post on EntertainmentCareers.net. Nikky at Players, Haters and Imitators offers some pictures of LL Cool J's visit to Rachael Ray's talk show. Flirtologist Jill Spiegel, listed Rachael Ray on her top 10 flirts list (and misspelled her name): "Rachel Ray, TV host who has a natural talent and enthusiasm for cooking, 'Yum-o!' Flirts share what they love." Stephanie V.W. Lucianovic of Chow's The Grinder discusses the Cupcake Courier featured when Jenna Fischer visited Rachael Ray's talk show. Stacey at What's for Dinner had a run in with hot oil when preparing chicken tenders. Congrats on your new title! Shawnda and Homesick - Thank you! It's very exciting. Jennifer - I think Rachael's dog might be really really spoiled. Sure you want to do that? Of course...but I'm one of those annoying humans who loves dogs as much as a child...lol. Only diff is I would make those for special occasions. Jennifer - you should watch the Dog Whisperer. I don't have a dog, but I am addicted to that show.